The entire team at the ibis budget Versailles Coignières hotel welcomes you. Stay in a quiet hotel, in a flowery setting close to local amenities and enjoy a modern and cozy room during your stay with us. The ibis budget Versailles Coignières is the smart choice for accommodation. Sleep in a pleasant, modern room for 1, 2 or 3 people and equipped with a private shower and toilet, large TV package (TNT, beIN sports channels, Canal+, etc.) and free unlimited WIFI. Enjoy all of this, plus an unlimited gourmet buffet breakfast, for a budget price. 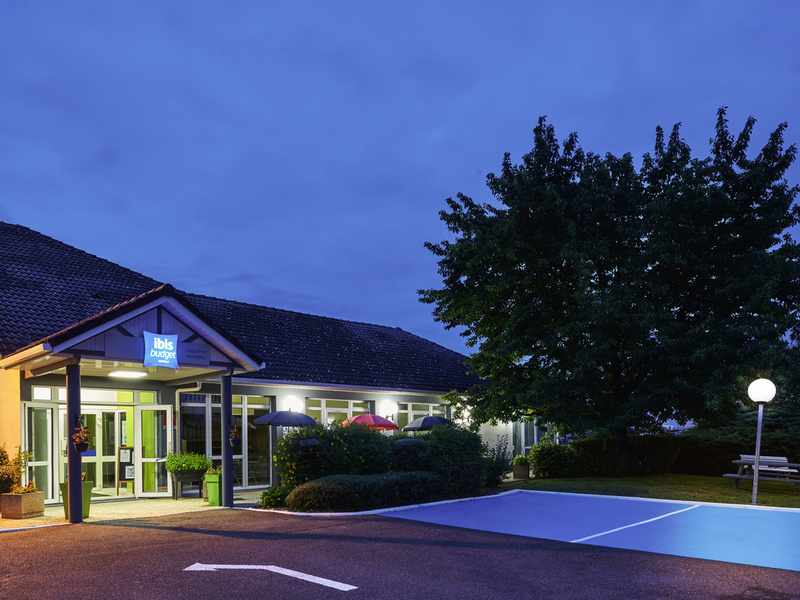 The hotel is ideally located 9.3 miles from the châteaux of Versailles and Rambouillet, France Miniature, Thoiry Zoo, Ile des Loisirs, shops and restaurants. Forum du Gibet shopping area (restaurants, shops, supermarkets, etc.) a 5-minute walk away.